B & Q is a British home improvement retailer headquartered in Eastleigh near Southampton in the United Kingdom. In March 1969, the first market of Richard Block and David Quayle was founded in Southampton. In 1979 there were already 26 of DIY Block & Quayle (B & Q). B & Q currently operates 332 DIY stores with over 39,000 employees in the UK. There are also 20 DIY stores in the PRC and 9 stores in Ireland. In fiscal year 2004/2005 a turnover of 4.1 billion pounds and a profit of 400 million pounds sterling was generated. 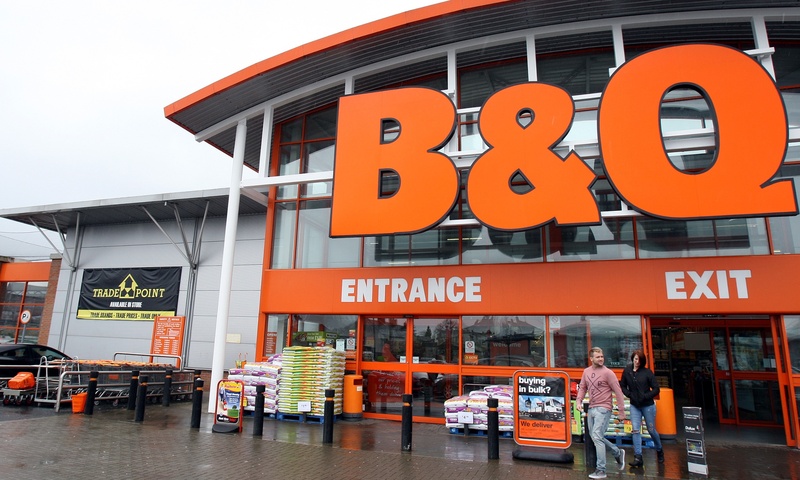 B & Q is part of Kingfisher Group.